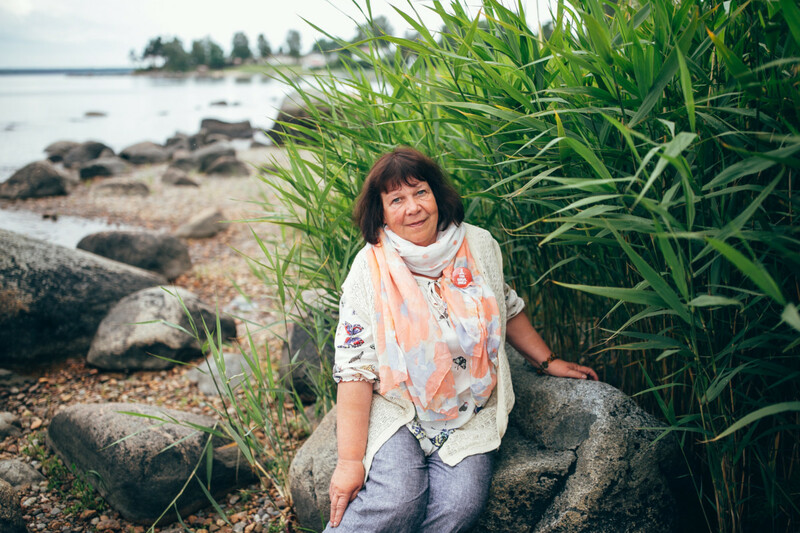 Danutė Sirijos Giraitė has been translating Estonian literature into Lithuanian for over 40 years, with a list of titles that spans prose, poetry, and plays. The incredibly dedicated translator has, unsurprisingly, received several awards for her work over the decades. In an interview with ELM, Giraitė discussed what has kept her tied to Estonian literature for so long and how her translations have been received in Lithuania. How did you arrive at Estonian literature and come to translate it? My grandfather Liudas Gira, a poet, was the chairman of the Lithuanian Writers’ Union between the world wars and forged ties with Estonian authors. My father Vytautas Sirijos Gira, who was also a writer, had many literary friends and acquaintances in Estonia, so the fascination is almost in my genes. There were several Estonian-language books in my childhood home, but my fondest connection to the nation was a collection of poetry by Marie Under with a dedication to my father. He would allow me to look at that wonder in an indecipherable language as if it were his greatest treasure, but only under the condition that I washed my hands first. He also showed me the poetess’s portrait painted by Ants Laikmaa in a book of Estonian art. As such, my earliest impressions of Estonia are associated with the sunny Marie Under. We were often visited by Aili Erleman, the first translator of Lithuanian prose classics into Estonian, in addition to a fair number of other Estonian writers. My father corresponded with the Estonian authors Betti Alver, Lilli Promet, and Agnes Kerge. He’d made their acquaintance when he was just a young poet participating in joint Estonian and Lithuanian literary events in the 1930s. Dad corresponded with the Estonian poet and critic Aleksis Rannit until the latter’s death and proudly sent him (a researcher at Yale University at the time) my first translated work, which was Eduard Bornhöhe’s Historical Stories (1978). Rannit, who was fluent in Lithuanian, even praised it, though probably more out of politeness. All these circumstances led to me developing an interest in the Estonian language, so I enrolled in the University of Tartu. I knew only a few words of Estonian, as a result of which I initially had to register in the Russian language department. At the time, there were no curricula for the likes of me. Nowadays, there are exchange programs and students can study Estonian language at the University of Vilnius. As Professor Ariste remarked during an Estonian-language lecture at the time: “Pick out and write down what you hear.” I wrote a single long sentence, unable to tell where one word ended or the next began or what they all meant. It was a tricky start. Last year was especially fruitful for you as a translator of Estonian literature, with a total of four books being published in Lithuanian: volumes II and III of A. H. Tammsaare’s Truth and Justice pentalogy, Rein Raud’s The Reconstruction, and Ilmar Taska’s Pobeda 1946. What’s the secret of such an outstanding year in terms of creative work? I personally can’t say. I’d actually already translated Rein Raud’s The Reconstruction in 2016. It took me two years to translate volume II of Truth and Justice, but both books were published simultaneously last year. It was simply coincidence or fate: sooner or later, every stubborn translator must earn a Cultural Endowment roly-poly in life; there’s no avoiding it. How have the novels been received in Lithuania? Reception has been good, given the publishers’ (small publishing houses’) limited advertising capabilities. Each book received multiple glowing reviews and, as always with Estonian books in Lithuanian translation, they were selected as some of the best translated works of that year. Everybody wanted a piece of Ilmar Taska at the Vilnius Book Fair. Multiple interviews were published, primarily in Lithuanian newspapers and magazines; the author appeared on radio and at several events during the book fair, as well as at the translation’s release at the Estonian Embassy in Vilnius. Estonian literature has its niche in Lithuania. There aren’t as many readers as I’d like there to be, unfortunately, but I suppose one sincere reader is better than ten static ones. I’m reminded of a particularly moving moment: a young man who is a big Truth and Justice fan showed up at the publishing house the very next morning after volume III was released. Not old, but young, meaning even Lithuanian youth are interested in the Estonian classics. You were also the one who translated volume I of Tammsaare’s Truth and Justice into Lithuanian (2009). The same work was finally also published in English last year by Vagabond Voices, and Tanel Toom (who is similarly a young man) made a feature film based on the novel. Truth and Justice is undoubtedly a core element of Estonian culture, but do foreigners understand it, and how? Speaking about my translation of Truth and Justice Vol. I, I’d like to mention that it received an award from PEN International’s Lithuanian chapter: The Translator of the Year Armchair. It was published in 2009 as the 100th book of the “World Literature Library” series. Vaga Publishing planned to release the series 25 years before it was finally published, but the project was interrupted by the Singing Revolution and the flurry of changes that followed. I didn’t lose hope and kept working on the first volume every now and then. The next volumes’ path to print was just as rough because Vaga was unable to continue publishing them and other publishers were afraid the works would be hard to sell. Of course, the award did draw attention to Estonian literature and Tammsaare’s works. I gave a lot of autographs. The literary scholar Leenu Siimiskser wrote a very nice afterword for the Lithuanian translation of Truth and Justice Vol. I. However, the greatest praise I received was when people said: “You know, I read the whole book in just one sitting – it’s so captivating.” I’ve even received words of thanks from readers I don’t know. We, the Lithuanian Tammsaare enthusiasts can’t wait for the opportunity to see the film based on volume one of Truth and Justice, too. I don’t know how the French and British interpret Truth and Justice, but for us, it’s like a work of our very own, because the problems and conditions of that era were the exact same in Lithuania. By the way, whenever I press publishers about the next volumes, I always mention that even the French – a people for whom Estonia is distant both geopolitically and in terms of temperament and mentality – have published a translation of the classic. What makes the works of A. H. Tammsaare topical even today? Do you intend to continue translating the Truth and Justice pentalogy? I do, indeed. I’ll be starting on Truth and Justice Volume IV soon – you can’t just stop halfway. It seems like last year’s celebrations of the Baltic states’ 100th anniversary of independence have united Estonia, Latvia, and Lithuania a little, and this not just in pragmatic decisions, as it might appear from their cooperation as the Market Focus Countries of the London Book Fair last year, or their joint meeting with the US president. They’ve also developed an interest in one another – at least in Estonia, the translation and popularity of our southern neighbors’ literature has livened up. How does it look in Lithuania? People have definitely gained an interest, which I can tell by the frequent questions I’m asked, for instance. More is being written about the other countries in the media, and there are more joint events. Unfortunately, interest in literature depends on extremely material factors, i.e. monetary support for publishing and book sales. It’d be wonderful if both sides that favor the cultural relationship in Lithuania and Estonia were guided by the principle “if you can help, then help”, not the opposite. Unfortunately, everything hinges on pragmatic decisions. I can’t go without mentioning that the Estonian publisher Penikoorem and I had a nice plan to release a collection of works by ten contemporary Estonian poets in both Estonian and Lithuanian to mark the countries’ respective centenaries. Alas, we were told “no” from every direction with the justification that a Lithuanian-language book should be published in Lithuania, even though the collection is in two languages. I haven’t lost hope yet that I’ll find someone genuinely interested in the reciprocal approach to Estonian and Lithuanian literature that was begun 86 years ago by Friedebert Tuglas and my grandfather. Leaving aside the financial aspect, what kinds of difficulties do you encounter most when translating Estonian literature? Are they grammatical, cultural, or something else? 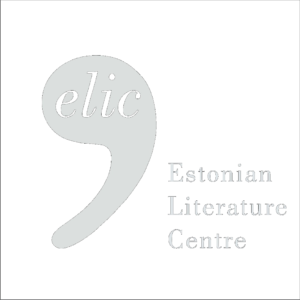 Is there anything about Estonian literature and culture that seems exotic to a Lithuanian? I suppose the greatest difficulties are in terms of style, as every author has his or her own individual way of writing. When translating Truth and Justice and other older works, there are a whole lot of historical, cultural, and grammatical complications. All in all, if you work and toil, then it won’t be without difficulties. Estonian exoticism? Maybe island life and culture, as Lithuania doesn’t have a single island. 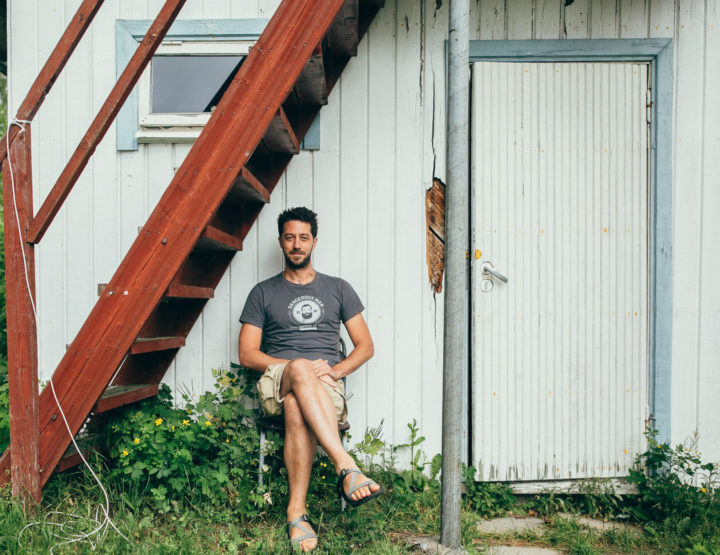 I’ve spent 25 summers in the Rannametsa fishing village in Southwest Estonia in order to experience the land of my translations’ characters amid everyday Estonian life and culture, so I suppose nothing about it is exotic or strange to me anymore. At the release of Truth and Justice Vol. I, Professor Petras Bražėnas, a Lithuanian literary critic, expressed his amazement: he’d never have believed that such Spanish-like passions could simmer in a faraway northern village. They emerge firstly in the rivalry of the characters Andres and Pearu, but also in the personalities of Pearu and others. You’ve also translated Finnish and English literature into Lithuanian. Have you had any time to do so lately? What are you working on currently? Unfortunately, I don’t have time for diversions anymore – may God give me the strength to see Truth and Justice to completion! At the moment, I’m finishing up my translation of Jaan Kaplinski’s The Same River and need to start working on Truth and Justice Vol. IV. It appears I’ll have Jaan Kross’ Between Three Plagues to translate, but it’s not certain yet. I only translate one work from one language at a time. I try to squeeze myself as empty as possible to be able to embody new characters in a new life. It’s in no way easy, even in the case of just one book. How do you pick works to translate? Of what Estonian author, or any author in general, are you fondest? When choosing new works, I, first of all, sort through the wealth of material that Kerti Tergem of the Estonian Literature Center thoughtfully sends to translators of Estonian literature, or I search for reviews myself. Theaters usually ask for specific drama translations. At least one Estonian play is staged every year in Lithuania, and I used to translate even several at a time for festivals. There’s a whole stack of Estonian books that I haven’t had time to submit for consideration or for which I haven’t found an interested publisher yet. For example, Mintis Publishers intended to publish my proposed translation of Jaan Kross’ Between Three Plagues for about a quarter of a century, but only now, after the London Book Fair, has another publisher shown a serious interest. Naturally, it’s more enjoyable to translate a book of which you’re fond, but it’s sometimes easier to translate from a distance: you’re able to rely more upon sense than emotions. The authors I hold in high esteem are all the ones I’m currently reading or translating, ranging from A. H. Tammsaare to younger writers. They’re all troublesome in a way, but troublesome things are usually the ones dearest to you. As for literature in general, there are very many authors, but just to name a few: Timo K. Mukka, Aksel Munthe, Julio Cortázar, Iris Murdoch, Arto Paasilinna, Lewis Carroll, Tove Jannson… Oh, I’m afraid there’s not enough room in this interview. The 2018 Nobel Prize for Literature was cancelled as a result of scandals. Some Estonians have expressed regret because they believe there might have been a greater likelihood than ever before for a Baltic writer to receive it on the 100th anniversary of the Baltic states’ independence. Still, I personally believe that Estonia, Latvia, and Lithuania can get Nobel laureates even without their centenaries, because we do in fact have great authors. Whom would you submit as a candidate? Earlier contemporary Estonian nominees have been Doris Kareva, Jaan Kaplinski, and Viivi Luik. Although you can’t submit deceased writers, it’s really too bad that Jaan Kross – who was once nominated for the prize – didn’t receive it. He was a flagship of modern Baltic literature as a whole. In my mind, it’s still him and only him. I suppose that’s the fate of Baltic writers: either they don’t have a suitable political background, which is undoubtedly an important factor for winning the Nobel Prize, or they haven’t received enough recognition around the world. As for Lithuanian authors, Kristina Sabaliauskaitė, who has written about the history of the Lithuanian state in an artistically high-caliber tetralogy, is without a doubt worthy of the Nobel Prize for Literature. I also love and respect every contemporary Estonian candidate. How could I pick just one? The farther back in time it was when I collected stamps, actors’ headshots, old coins, colorful exotic postcards, etc., the fewer things there are that I could call hobbies. Work, hobbies, and lifestyle have become so intermixed that reading books has become work, as well as taking care of my dog and cat – everyday life, theater, films, and hiking are the delicacies of life. Even so, I have just one childhood dream remaining: a good camera and finding enough time for nature photography, which I try to do every free moment I have. And the sea, of course – I’ll never get tired of watching it, listening to it, its scent. In short, life itself is my hobby. Pille-Riin Larm (1981) is an Estonian literary critic and researcher. She has been on the editorial board of the Estonian cultural newspaper Sirp’s literature section since 2014.